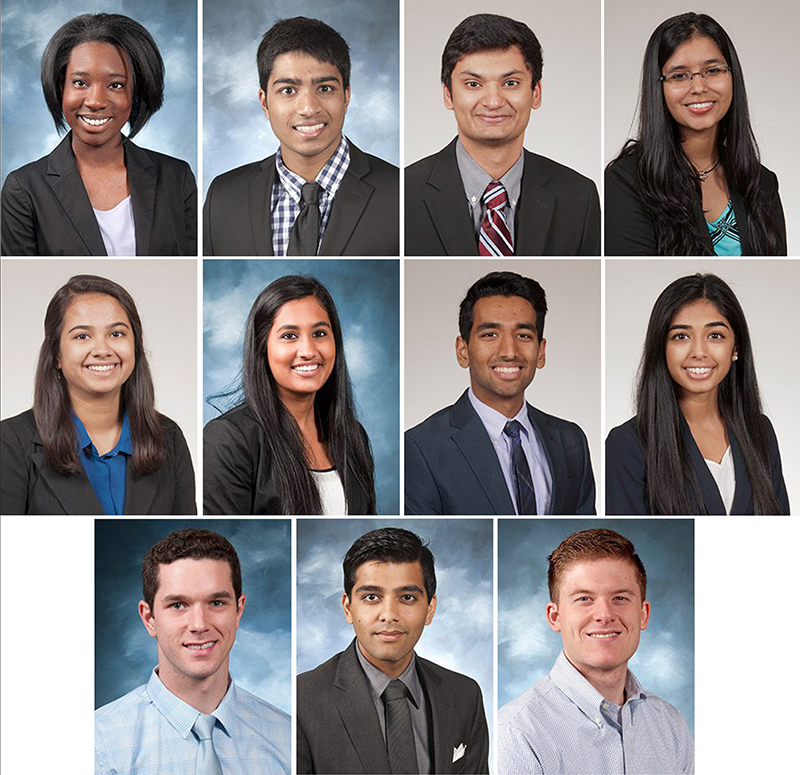 Sarah Morrison Student Research Award recipient for Spring 2018: (left to right, first row) Taylor Carter, Keerthi Gondi, Rishabh Gupta, Debolina Kanjilal; (second row) Shrusti Mehta, Nikitha Potturi, Hussain Rao, Alisha Shah; (third row) Garth Sherman, Siddhant Thukral, Jeremy Provance. 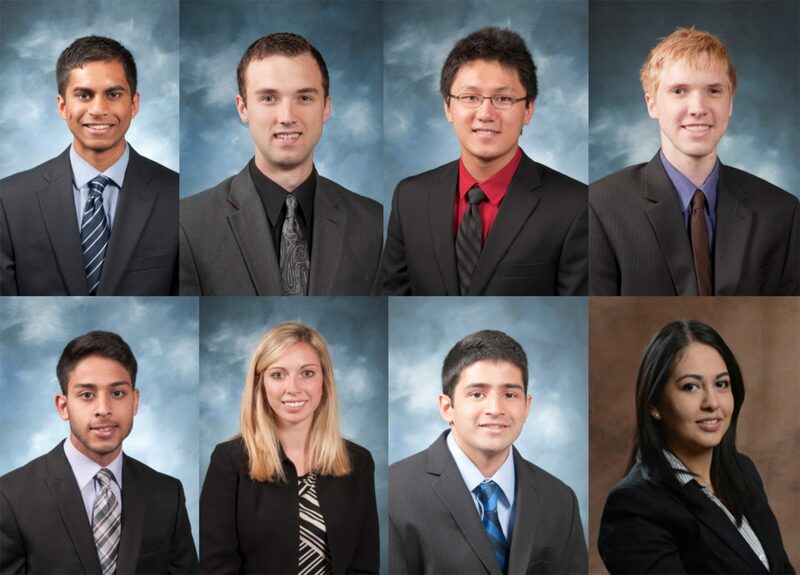 The School of Medicine Student Research Program has awarded 11 Sarah Morrison Student Research Awards for the Spring 2018 cycle. Recipients included 10 medical students and one graduate student. Sarah Morrison awards of up to $2,500 are presented each year in April and October. More than 100 students have received an estimated $104,669 in financial support from the program to conduct research projects at the School of Medicine. The deadlines for students interested in research who wish to be considered for one of the Sarah Morrison awards are March 1 and September. 1 each year. Applicants are reviewed by a committee of faculty judges and processed through the Office of Research Administration.